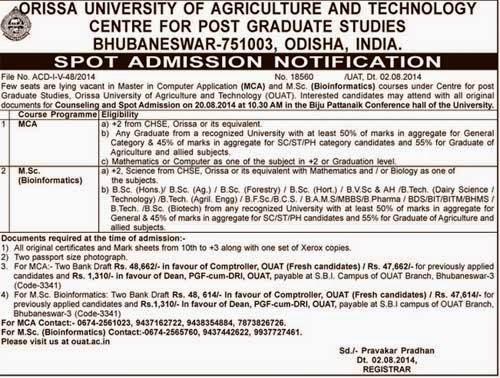 2014 Spot Admission for few vacant seats available in OUAT Orissa University of Agriculture & Technology), Bhubaneswar- 751003, Orissa, India is scheduled for 20th August 2014. Spot Admission for Which Course ? 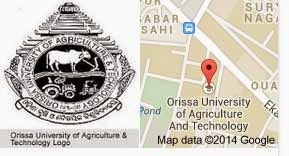 The Seats for the MCA (Master in Computer Application) and M.Sc(Bioinforatics) courses under centre for post graduate studies are open for the Spot Admission. Please see the Details pulished in the Newspaper below.